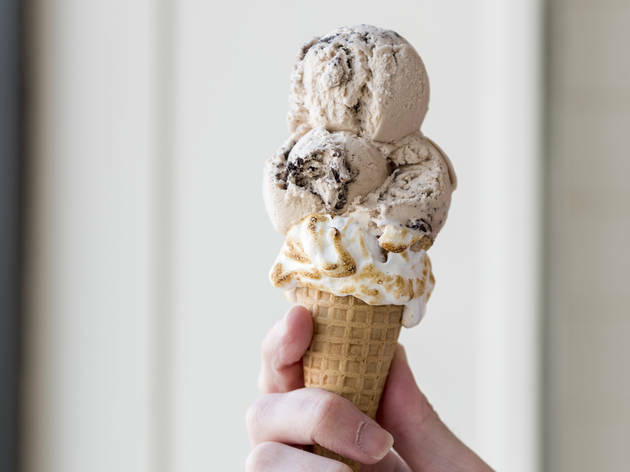 It may be hard to fathom in the middle of a Boston winter, but the city has been a hotbed of ice cream innovation since the ’70s, when Steve Herrell began mixing Oreo shards into freshly churned batches in his (now-defunct) Somerville shop, Steve’s Ice Cream. 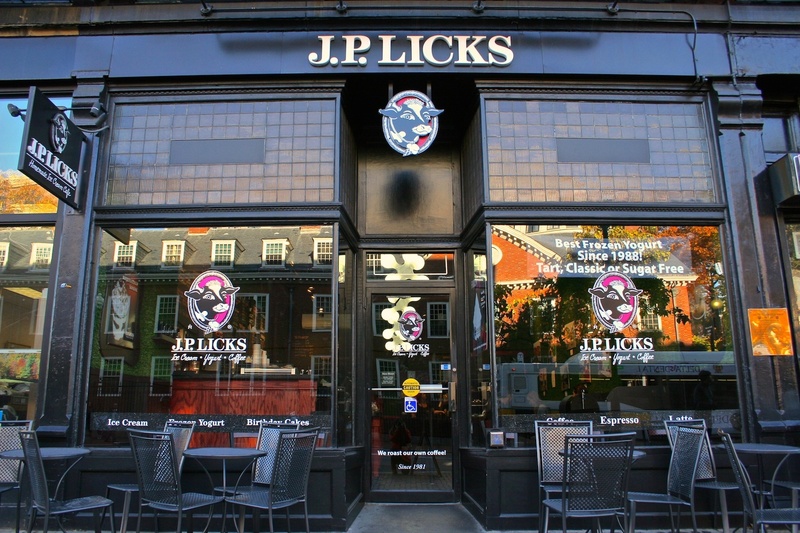 Emack & Bolio’s soon followed, joined in the early ’80s by the first J.P. Licks in Jamaica Plain. Enjoying ice cream remains a popular pastime year-round; some studies say New Englanders eat more ice cream than anyone else in the country. 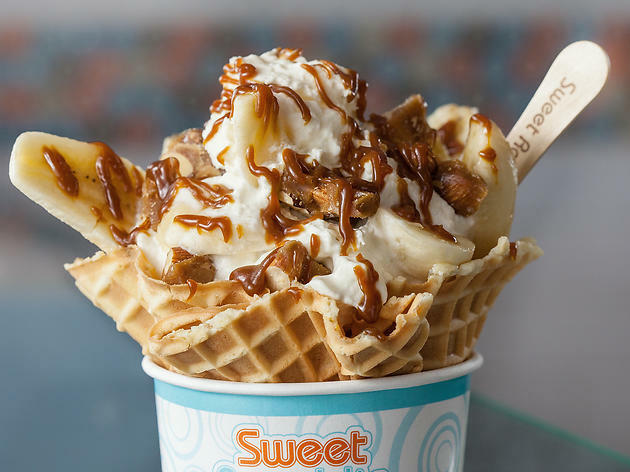 Take a night off from your diet by pairing one of the best burgers in Boston or best pizzas in Boston with a sweet treat from these exceptional ice cream shops. 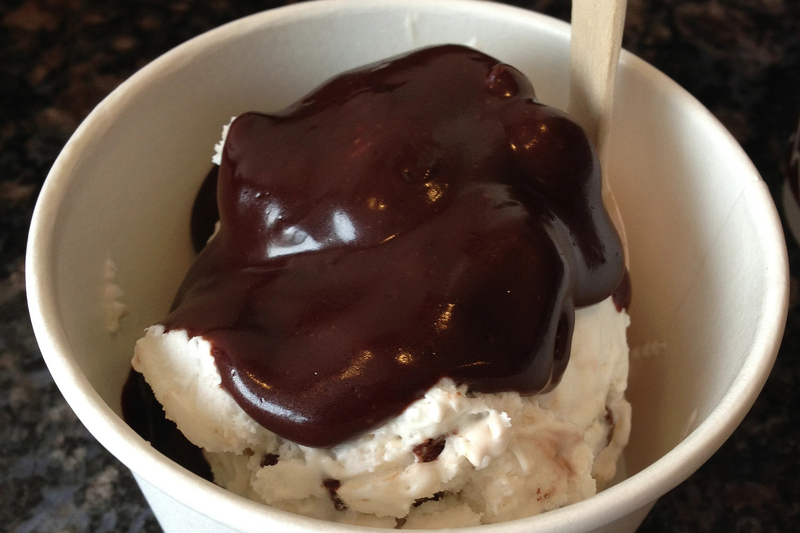 The New York Times once called it the best ice cream in the world—just one of the many accolades this Cambridge shop/café has collected since it was co-founded by Steve’s Ice Cream alum Gus Rancatore in 1981. 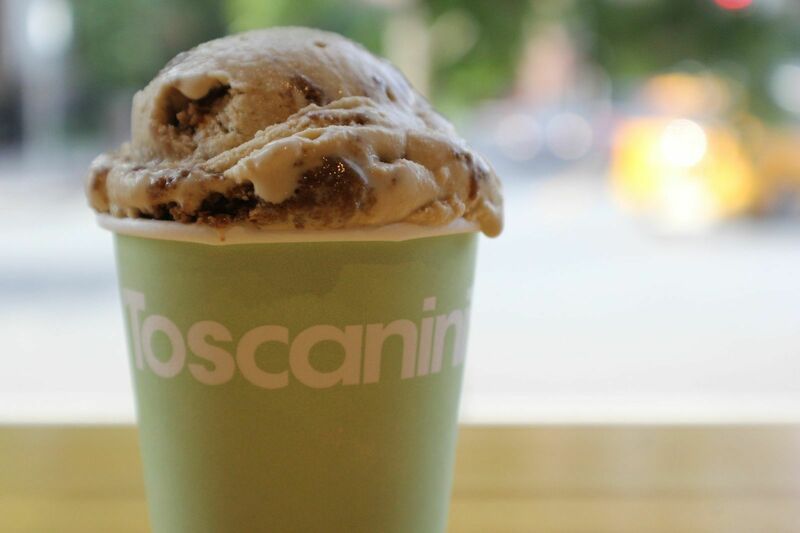 Toscanini’s continues to push the flavor boundaries with such intriguing and satisfying combinations as B3 (brownies, brown sugar, brown butter) and the amazing burnt caramel, which was actually created by accident. 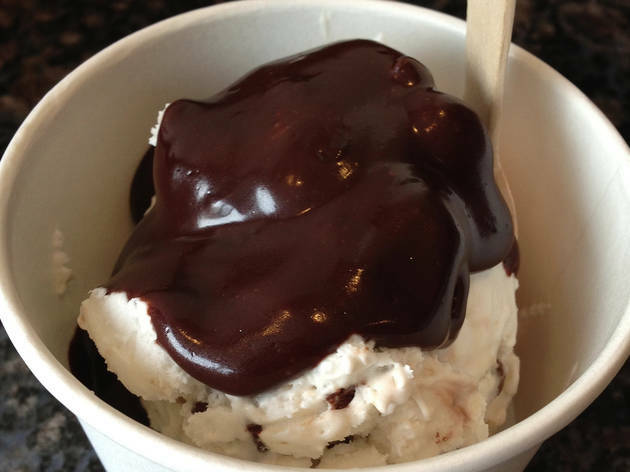 But if you insist on gilding the lily, order a “micro sundae,” a small scoop topped with house-made hot fudge, whipped cream, nuts and sprinkles. 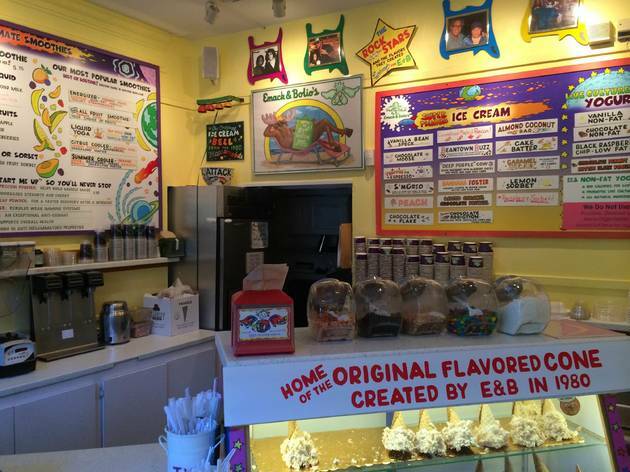 Whether or not they advertise the fact, many local restaurants scream for ice cream from this Inman Square shop to supplement their dessert menus. 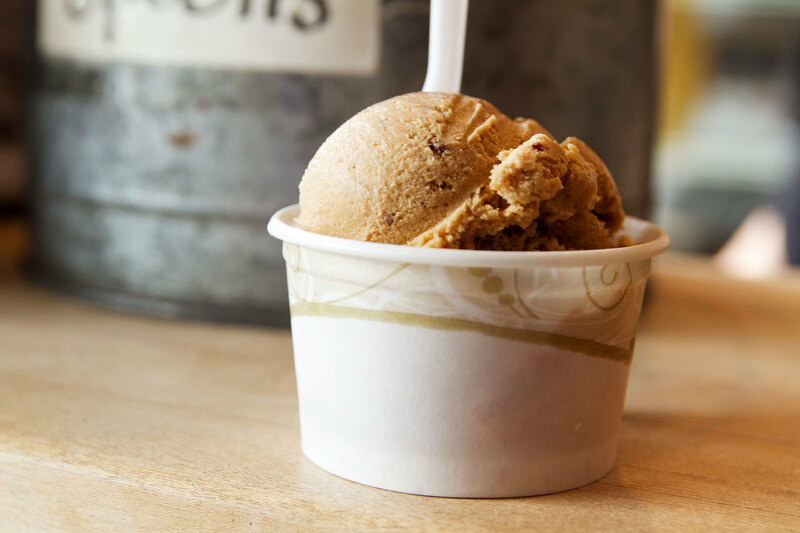 Among the beautifully realized seasonal flavors such as pumpkin and eggnog, keep your eyes peeled—and your mouth primed—for fresh rose, burnt sugar and ginger molasses. 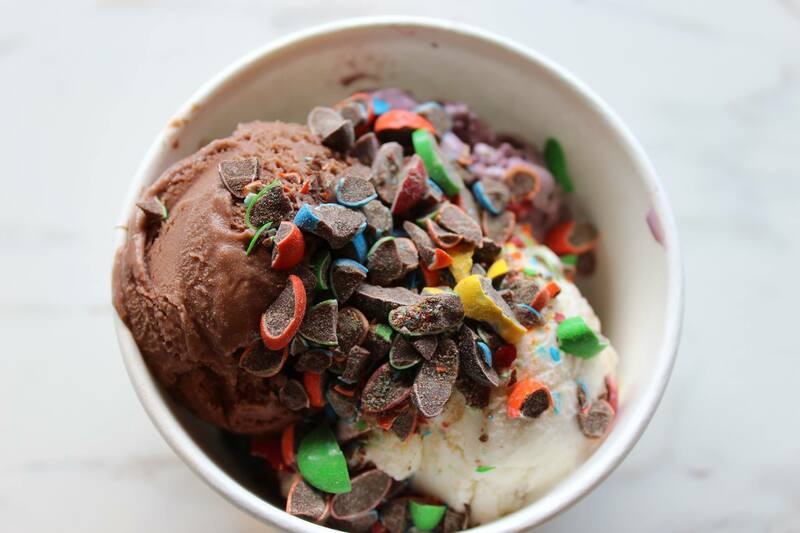 From its diminutive space at the Innovation & Design Building, Gelato & Chill churns out small batch, handmade gelato created from authentic Italian recipes. 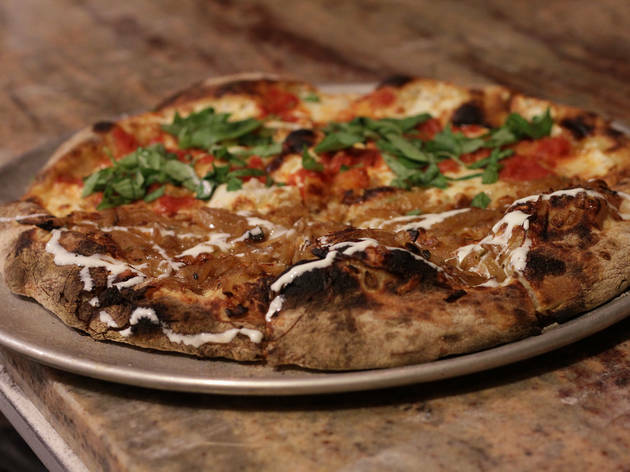 Only natural ingredients such as fresh milk and cream from local dairies are used, with no additives or high fructose corn syrup, and there are numerous vegan-friendly, dairy-free options. Representative flavors include matcha green tea, tiramisu, and “almost cheesecake” (Sicilian pistachios, Robiola cheese, and raspberry). This outré ice cream post in Union Square further cements the Somerville neighborhood as the place for all things artisanal. 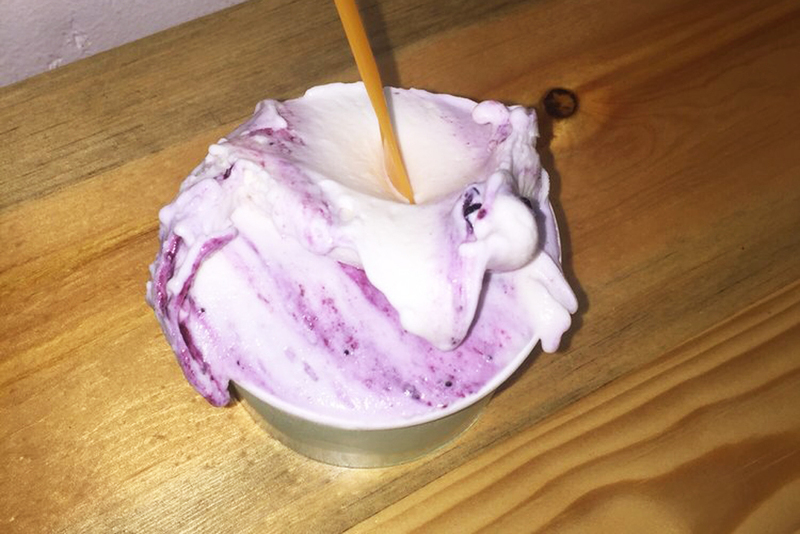 The shop makes small batches of creative flavors like Salty Whiskey, Guinness, and Black Raspberry Chip, with new flavors rotating in regularly. 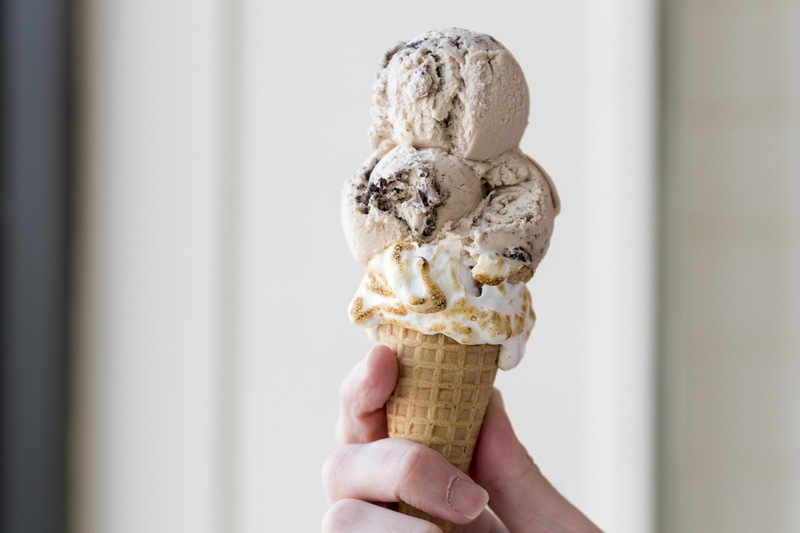 Top your scoop with the house-made version of Magic Shell, and definitely forgo the cup for a toasted Fluff cone. 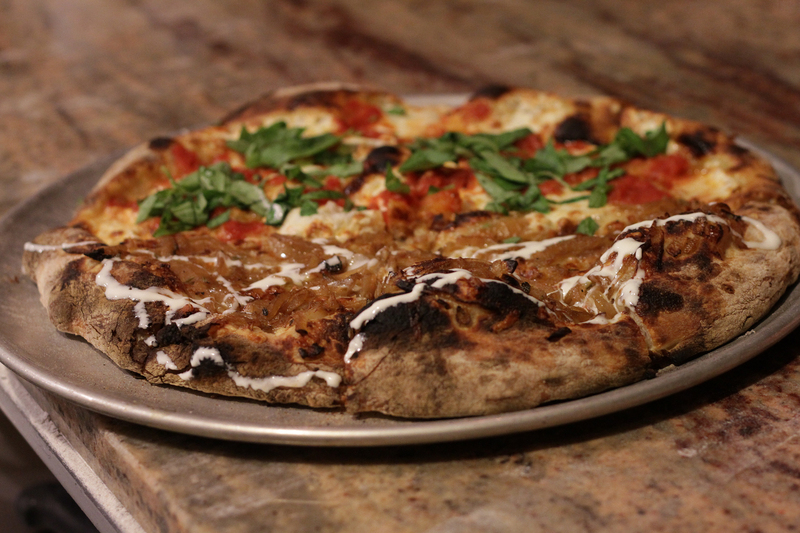 While this South End haunt is primarily thought of as a pizza spot, the kitchen impresses with its assortment of homemade ice creams. 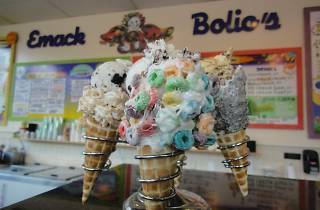 A steady stream of local families stop by for a sweet treat to go. 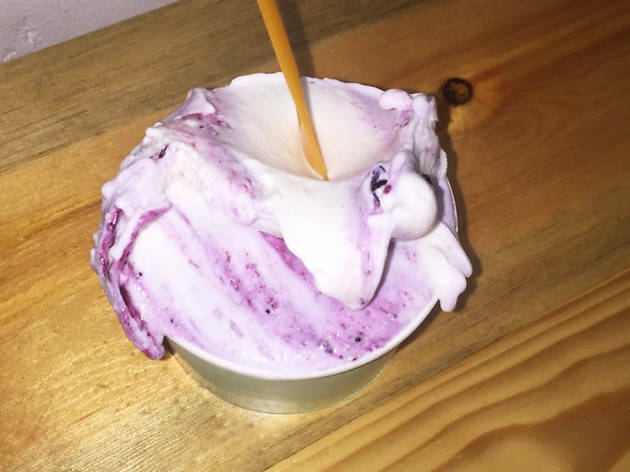 In addition to cups and cones, options include boozy concoctions such as an “adult ice cream soda” featuring raspberry Belgian lambic, and a stout-blended frappe. 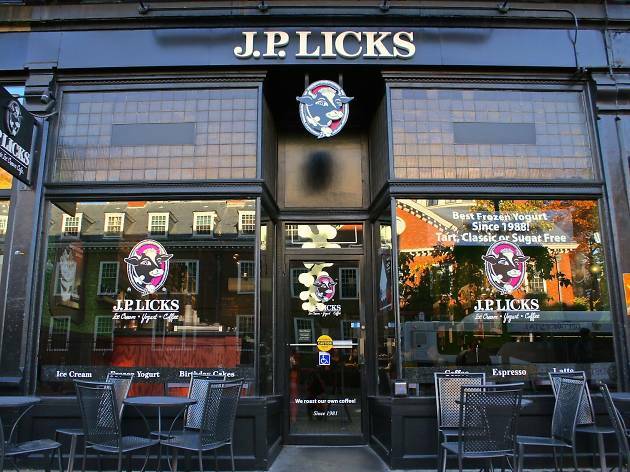 The Jamaica Plain–born ice cream institution, which has since spread to Beacon Hill and Harvard Square, among other locations, is known for its funky cow motif, lively atmosphere, hip scoopers and exciting flavors. You can expect a wait on hot days, but that just gives you more time to decide between old faithful faves like Brownie Batter and seasonal dazzlers such as PB & Chili, made with sriracha. The place also roasts its own coffee in case you want to supplement your sugar rush with a caffeine fix. 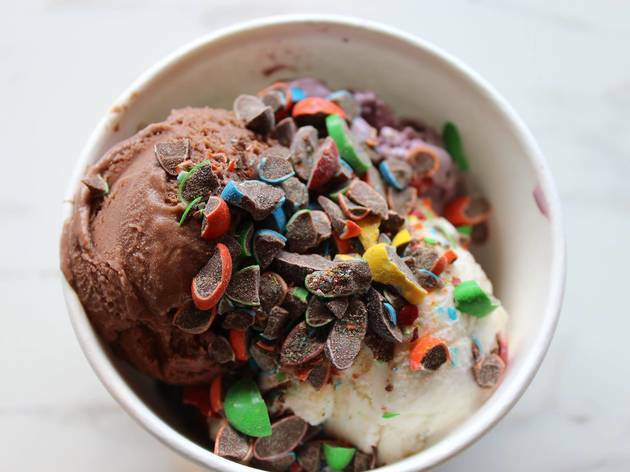 This Back Bay locale is as famous for its ice cream as its award-winning smoothies, which the staff will whip up in front of you using fresh seasonal ingredients. 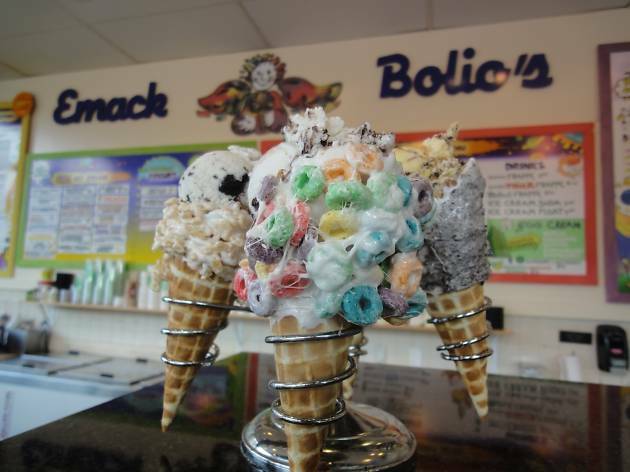 Emack & Bolio’s also pioneered the flavored cone—including varieties covered in marshmallow or chocolate-dipped with shaved coconut. 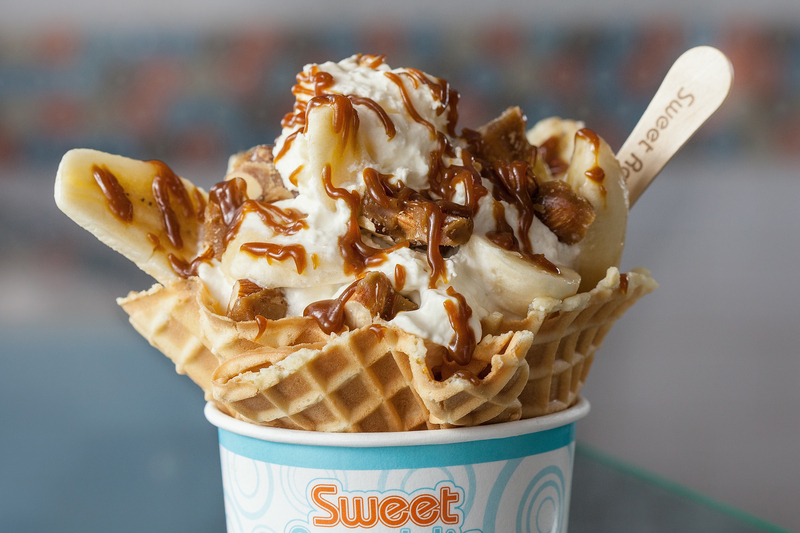 Vegans, rejoice: This ice cream’s for you. 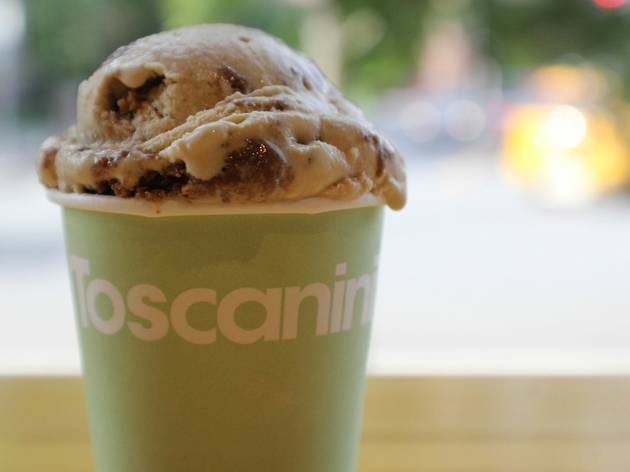 The folks at FoMu whip up whip up gelato-like, creamy treats with a coconut milk base and flavors like avocado, bourbon maple walnut, mango habanero, and the summer-only almond raspberry crumble. The Allston shop (there are outposts in Jamaica Plain and the South End) also concocts ice cream cakes for the celebratory herbivore. 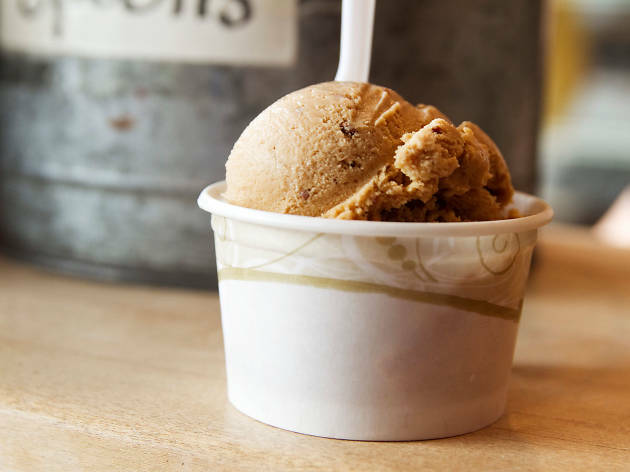 Chill on Park doles out dozens of house-made flavors (salted caramel truffle, cookie dough) in Dorchester’s Fields Corner neighborhood. The cheery, congenial space doubles as a full-service coffeehouse, filling the neighborhood’s latte void, and pastry treats come from the South End’s Haley House, a multi-purpose non-profit.